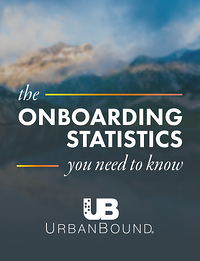 You know that onboarding can make or break the success of your employees (we've made it pretty clear), but we wanted to give you some facts to prove it. Organizations with a standard onboarding process experience 54% greater new hire productivity, along with 50% greater new hire retention. Impressive, right? We think so too. However, in the UK and US alone, an estimated $37 billion dollars is spent annually to keep unproductive employees who do not understand their jobs, and 35% of companies spend $0 on onboarding. Want to share this infographic? Use this embed code!